We are currently looking for a Solvency II financial reporting actuary to play a leading role in the preparation for Solvency II and the design of methodology. Act as subject matter expert on interpretation and communication of Solvency II rules and guidance. Design (including producing supporting analysis) and propose methodology consistent with the rules and guidance. Produce methodology documentation to gain agreement/approval and for the Solvency II documentation library. Liaise with others in the business (including the modelling, reporting and capital teams) to assist in the implementation of methodology. Assist the wider Solvency II project progress its overall plans and targets. Ability to communicate complex matters to technical and non-technical audiences. Builds effective team working relationships achieving buy-in and influencing outcomes. Knowledge of regulatory requirements and financial reporting applicable to life insurance. Spreadsheet skills and understanding of actuarial modelling systems. 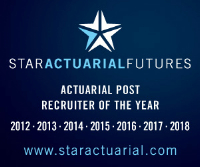 Professional actuarial or equivalent qualification.